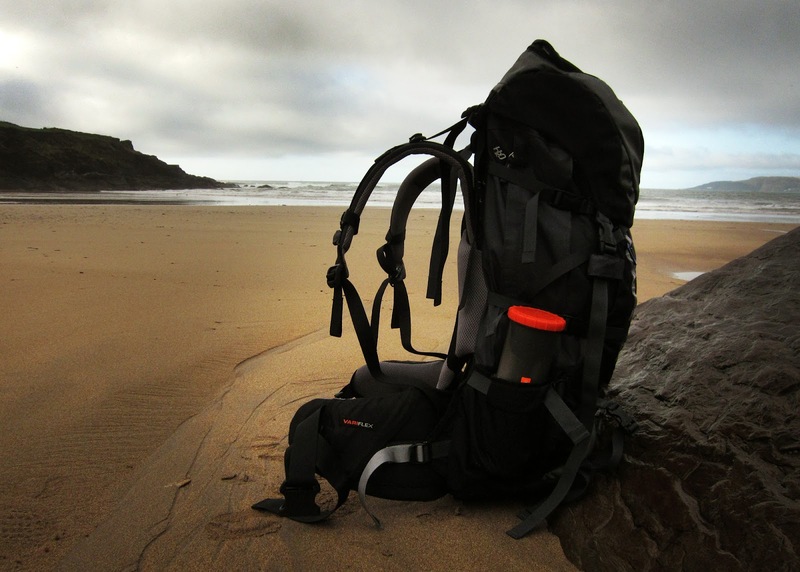 If you are anything like me and always lose small things while backpacking or wonder where you put them, these new storage containers are very useful. While many storage containers exist these new gearpods bring a modular twist to storing small items of gear. 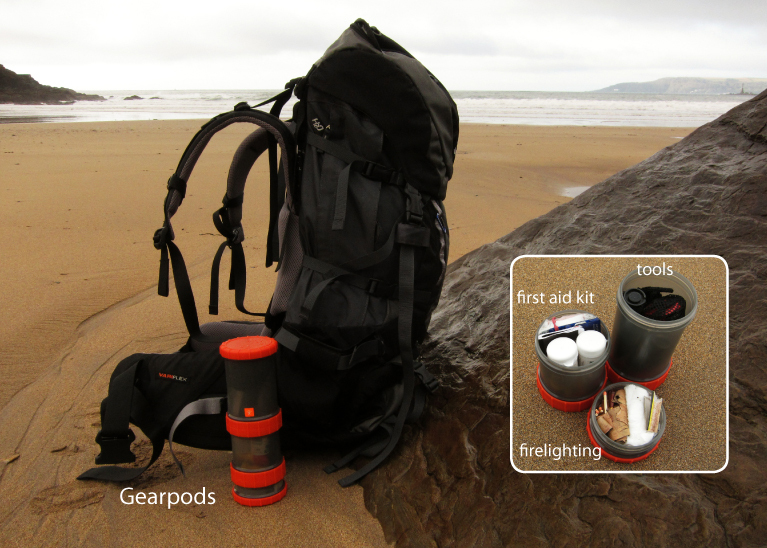 The gearpods themselves come in a variety of sizes which are sold individually or as sets (including pre-made survival kits). The sizes range from the small (1.5 inches) to medium (3 inches) to large (4 inches) to extra large (6 inches). They are made of durable light plastic which can be tightened till they are fairly waterproof (although I have not tested this and they do not have O rings)*. The whole novelty to these storage devices is that they can be joined together using connectors to form a kind of modular multi-kit. At present I use the largest gearpod for my main tools, the medium one for first aid and the smallest for firelighting materials. The possiblities for these containers are really down to the individual (they make good fishing kits too). *EDIT: The first generation product used a neoprene O-Ring. The second generation products use a friction seal negating the need for the O-Ring. What kind of pack is that? Great idea... where can I get one... or four? nature adrift. Simple theme. Powered by Blogger.